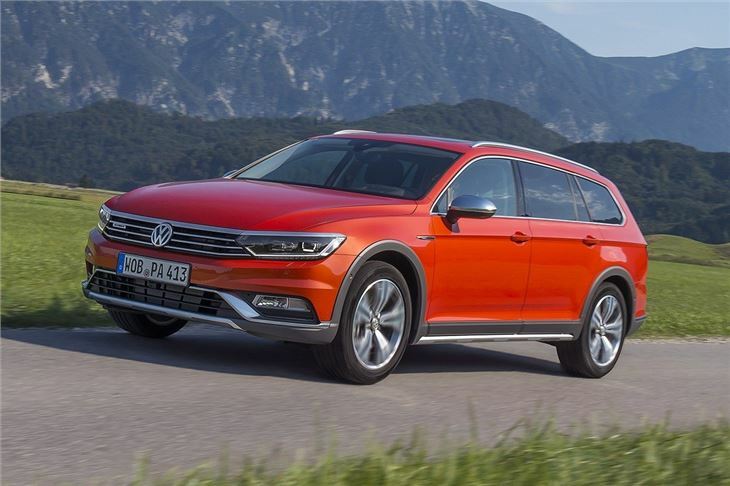 Scout, Cross Country, X-Perience… there are lots of fancy names for all-wheel drive estate cars these days. 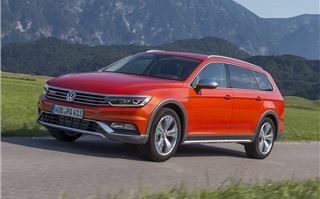 Not to be left out, Volkswagen is back with its second generation Passat Alltrack. 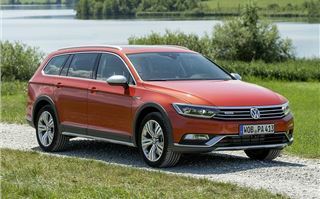 Aside from the obligatory four-wheel drive system, the Passat Alltrack gets chunkier styling compared to the basic estate. It also has a slightly raised ride-height for better ground clearance, along with a sump guard to stop rocks damaging the underside of the engine. 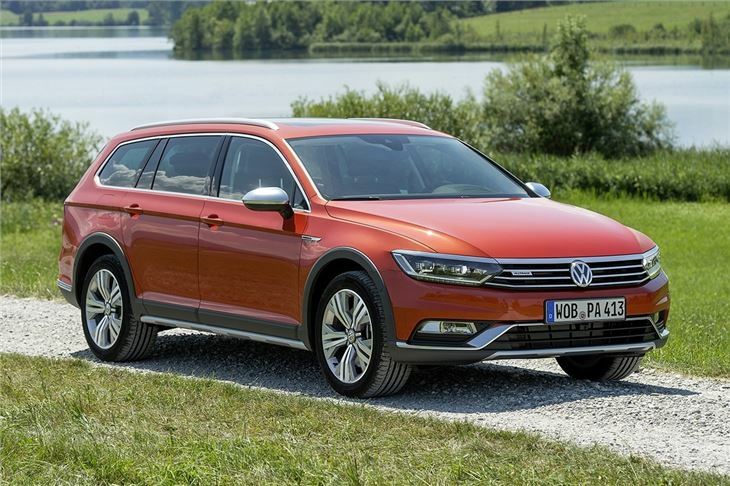 If you’re in the market for a car like this, that’s all going to sound very familiar - there’s a formula for pseudo-offroad estate cars and Volkswagen has followed it to the letter. Boring? 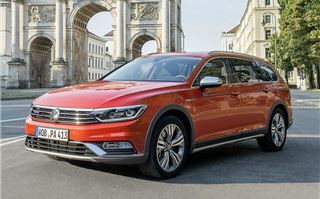 Maybe, but when the basis for this new car is the well-finished and capable Passat Estate, there aren’t that many improvements you can make. 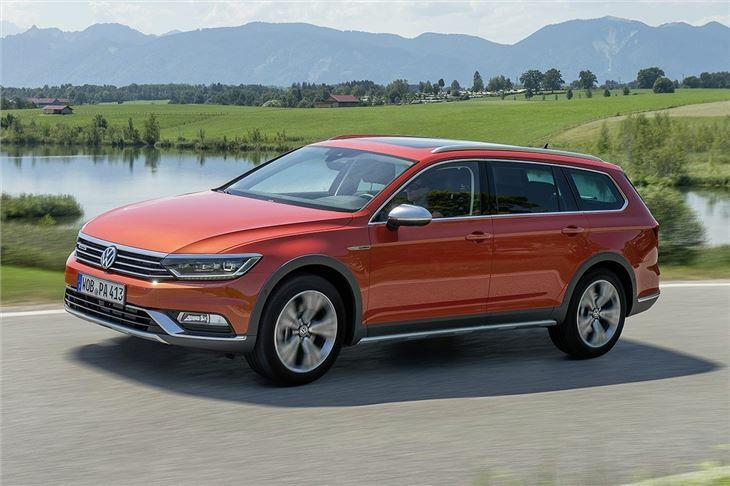 This means that you’ll struggle to tell the Alltrack apart from a regular Passat Estate, whether you’re inside or outside. There are a few unique styling details and badges scattered around the cabin, along with the aforementioned exterior touches, but they’re quite subtle. 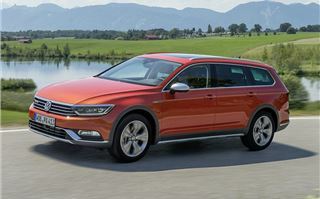 In fact, if you didn’t tell your passengers the Alltrack had four-wheel drive they’d probably never guess. 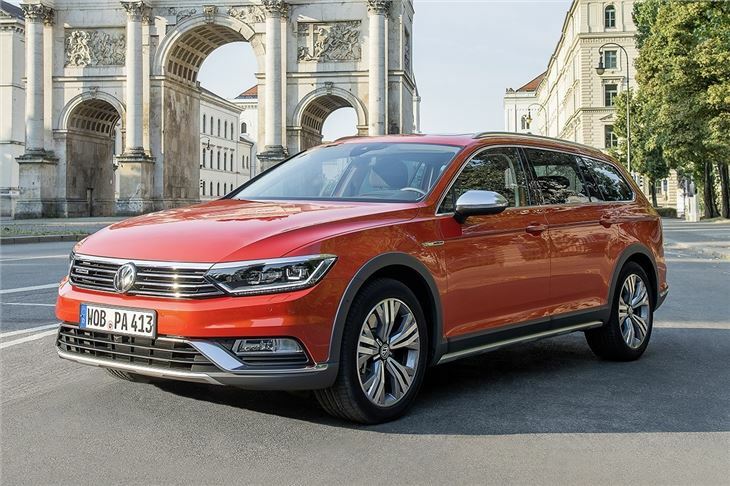 On the road, there’s little difference between a Passat Estate and a Passat Alltrack, especially when it comes to driving or comfort - and that’s no bad thing. The Passat is one of the quietest, smoothest and most relaxing cars on sale. The controls are nicely weighted, giving the car a sense of size and solidity without being too heavy, plus the ride quality is very good over bumps and pot holes. 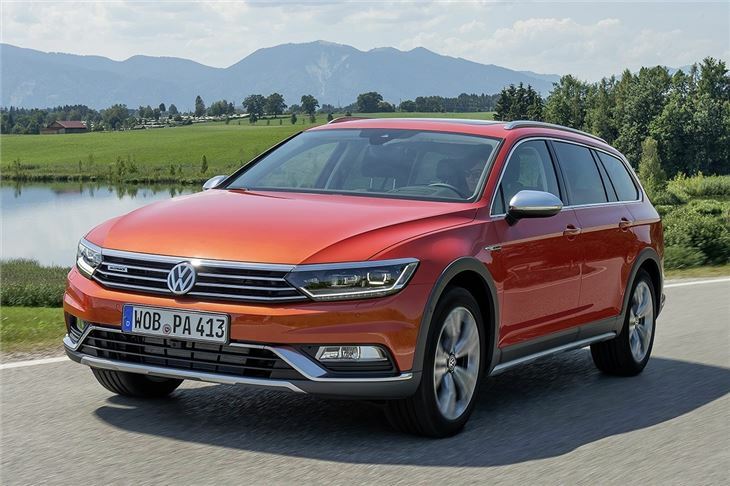 On the motorway, the Alltrack is a calming, relaxing car to drive, helped further by comfortable seats and excellent refinement. 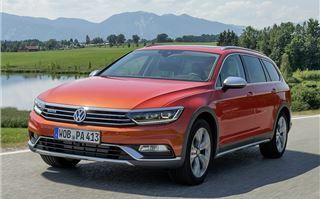 The trade-off is a lack of entertainment through corners, but the Alltrack works well enough, with good body control and plenty of grip at normal road speeds. 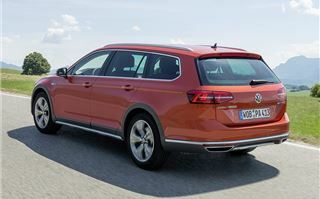 There are just two engine choices, both 2.0-litre diesels. The cheaper variant is only available with a slick, easy-to-operate manual transmission. It produces 150PS and 340Nm of torque from 1750rpm, so is perfectly capable of tackling all kinds of roads, from rural lanes to long motorway trips. Emissions for this engine are 130g/km and official economy is 57.6mpg. 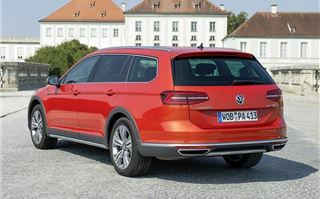 The other option is only offered in conjunction with a seven-speed DSG automatic transmission and produces 190PS and 400Nm of torque from 1900rpm. Despite its extra capability, it isn’t too far behind the lesser model when it comes to economy and emissions, which are 54.3mpg 137g/km. It does, however, carry a fairly hefty premium of more than £3000 over the 150PS manual. The all-wheel drive system is fitted as standard and works automatically. If sensors detect low traction they can send drive immediately to whichever wheels need it the most - ideal for ice or snow. If you’re planning a trip across a field or down a tricky forest track then you can override the settings and choose an off-road mode, which includes a hill-descent control system. This controls the speed down hill without pedal inputs from the driver, even on poor surfaces. 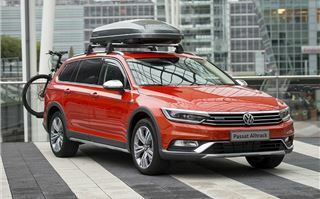 The Alltrack isn’t really meant for serious off-road work, of course - it’s no Land Rover Defender. But for muddy or gravel covered tracks, or for towing caravans or trailers into fields it’s ideal. It’s rated to tow up to a 2200kg braked trailer regardless of engine, plus it comes with some seriously impressive optional kit that will reverse a trailer automatically at a preset angle - the driver just controls the speed. 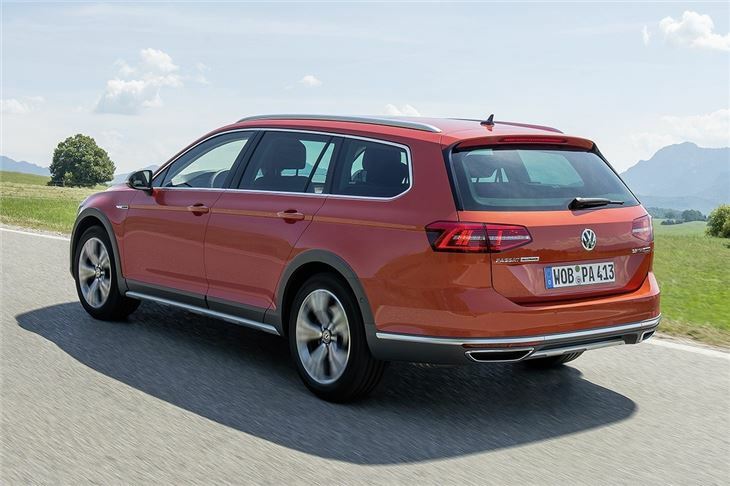 Standard equipment is based on the GT model, so buyers get adaptive cruise control, the collision avoiding 'front assist' system, three-zone climate control, Bluetooth, city emergency braking and satellite navigation as standard. There are also various interior options, including wood or metallic dashboard inlays. 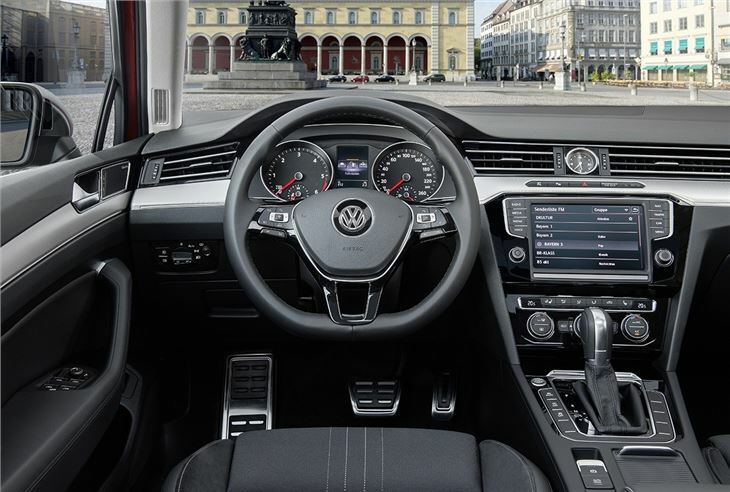 Interior quality is top-notch, with plush touches like carpet-lined door pockets setting the Passat apart from other large family cars. Interior space impresses too. 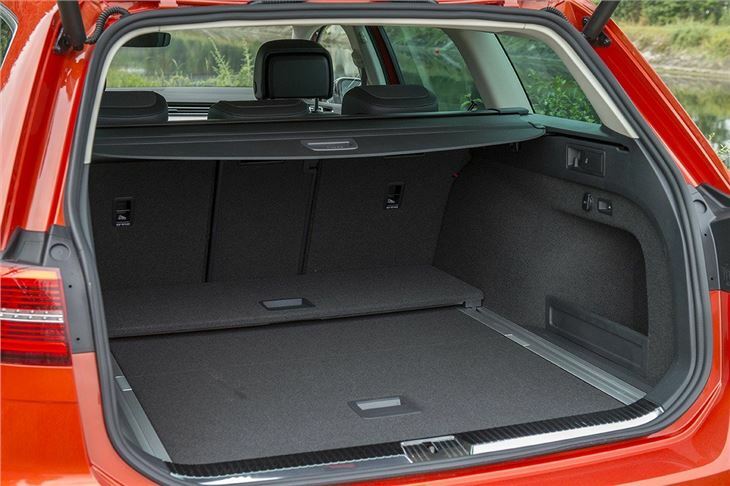 There’s enough leg and head room for adults in the back and access is good through wide-opening doors. 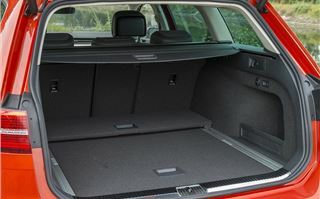 The boot is a touch smaller than the normal Passat Estate, but it’s still huge at 639 litres, expandable to 1769 litres if you fold the seats flat. The load deck is low and flat, so loading and unloading is easy, plus it’s dog-friendly. But the price is high - £30,000. 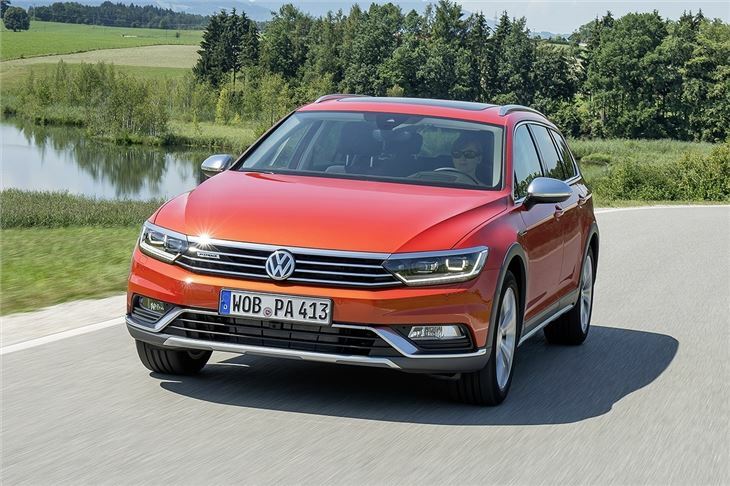 If you really need the extra capability of all-wheel drive, then the Alltrack might well appeal - but it’s important to remember that there are some similarly capable models available for less. The Skoda Octavia Scout, for example, is £25,405. 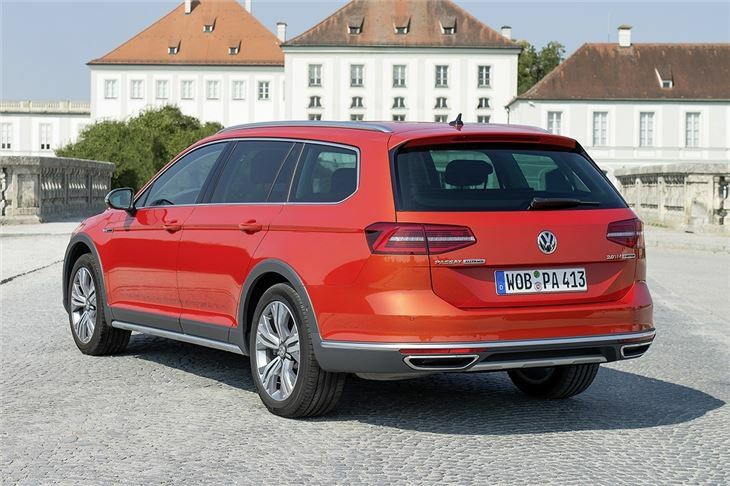 It might not be quite as refined or as plush, but it’s still very big and it works as well as the Alltrack in tough conditions. 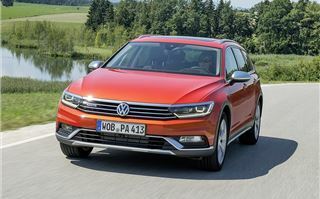 However, if you’re happy to fork out the money for the Passat Alltrack there is no denying its quality. 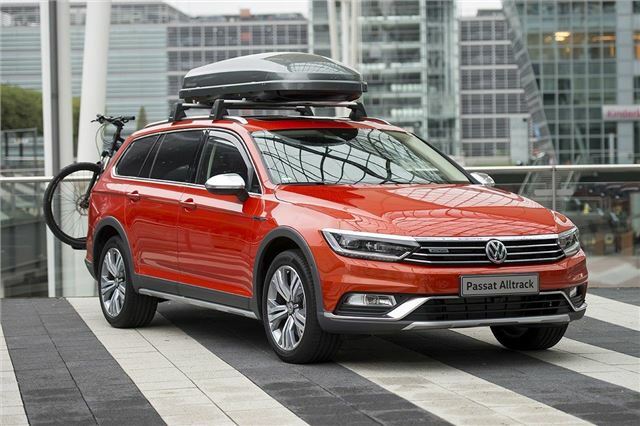 The Volkswagen Passat Alltrack is available to order now.